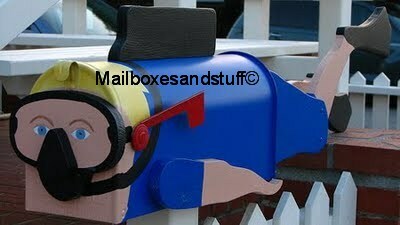 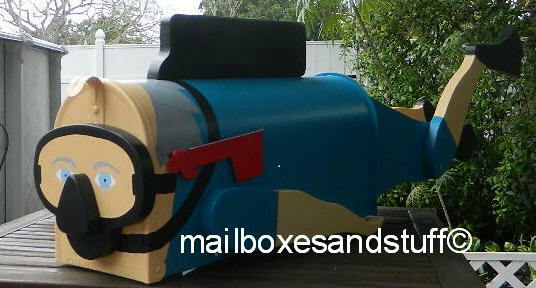 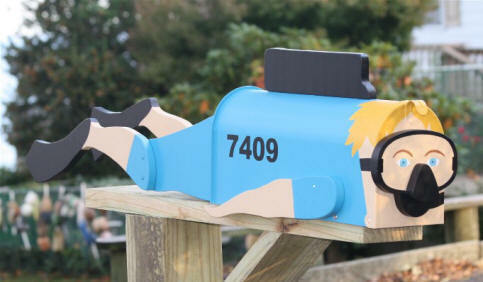 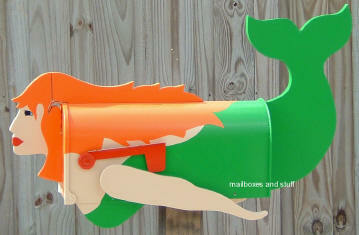 Our Surf Loving Underwater Adventure Enthusiasts everywhere JUST LOVE our Scuba Diver Mailbox ! 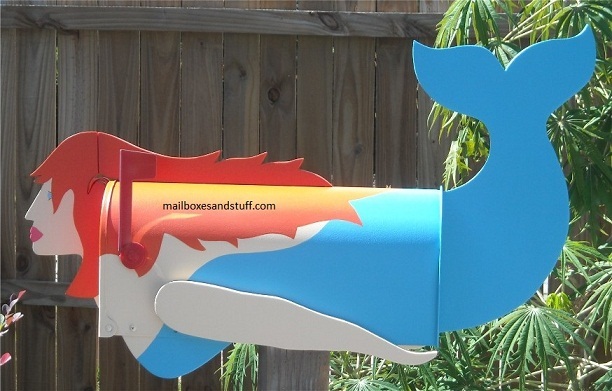 And so all YOU LADY SCUBA DIVERS don't feel left out ,, we can make HIM a HER at your request ... though the LADIES seem to LOVE our MERMAID Mailbox even better!!! 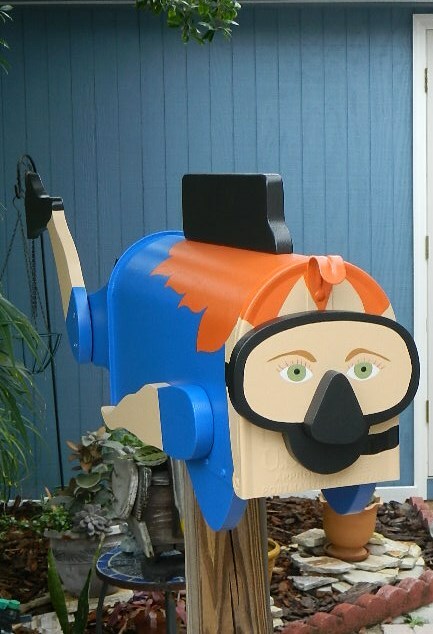 Great Gift IDEA for anyone who loves Scuba Diving, the Ocean , or just plain old FUN! 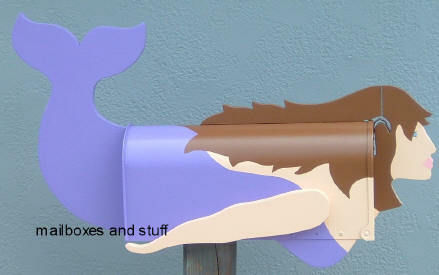 Our Beautiful Mermaid Mailbox is also VERY popular with the ladies! 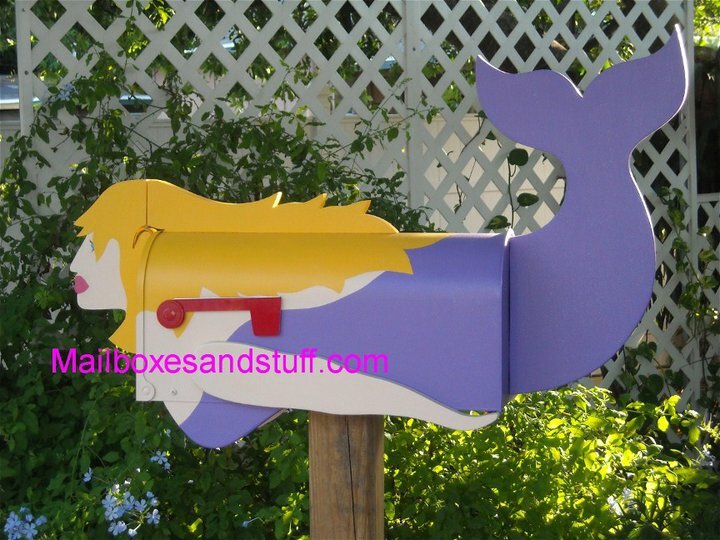 We pride ourselves in our HIGH QUALITY WORKMANSHIP and use only the best exterior products to produce our hand made novelty mailboxes so your mailbox will last for years. 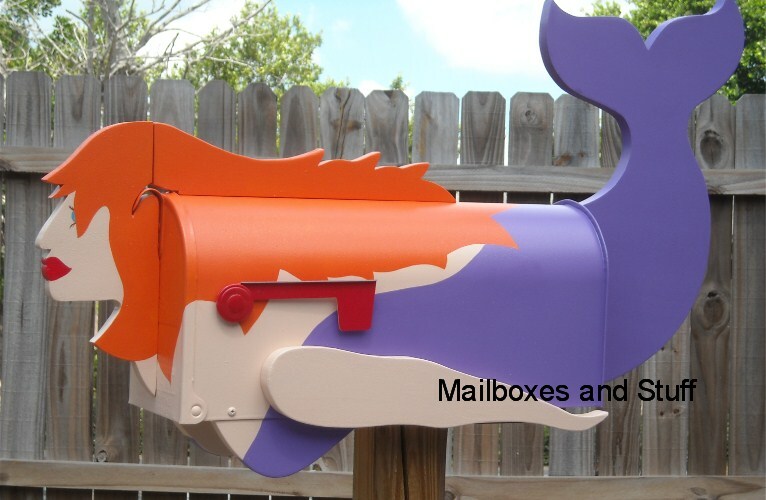 BEWARE of cheap imitations .. our designs are all UNIQUE and one of a kind.. People try to copy our work ( which is illegal by the way since WE have a REGISTERED copyright ) BUT no one duplicates our high quality and craftsmanship!